Young people in Europe worry about the same things and the European Youth Forum helps them to make their voice heard. UNITEE asked Allan Päll, General Secretary of the European Youth Forum, what still needs to be done for Europe’s youth. What are the objectives and activities of the European Youth Forum? 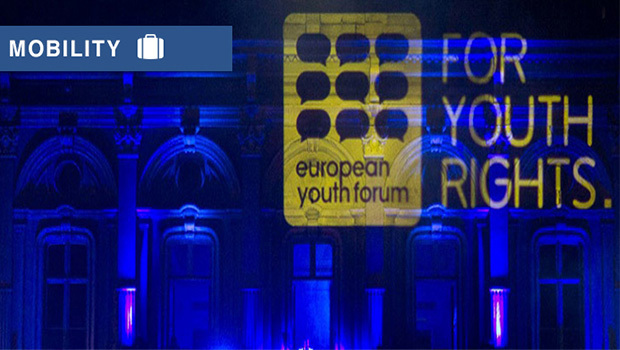 The European Youth Forum is a platform of member organisations. We have 99 members all across Europe and we advocate the rights of young people at the European level. We also want to empower young people and encourage them to participate in society. At the moment we have three big priorities. The first one is improving the participation of young people in democracy. To do so, we organised the first debate between the candidates for the Commission presidency together with Euronews and we advocate lowering the voting age to sixteen. The second priority is about strengthening youth organisations because they are key providers of experience and supporters of the rights of young people. Our third focus is youth autonomy and inclusion because we do not want young people to be economically or socially dependent on their parents. Young people must be able to plan their own lives and careers and for that, they need access to good education and the labour market. This includes pressing for quality internships, quality jobs, anti-discrimination, and mobility. How do you empower young people? The key element for young people is their participation in youth organisations. This happens within our members, which comprise a broad range of associations: national youth councils, national umbrella organisations and international non-governmental youth organisations. We also organise events. This year, we gathered more than 10,000 young people in the European Youth Event and Yo!Fest. For three days, various workshops and cultural activities brought together young people from all over Europe to discuss youth policy issues. How do you manage to unify all these different organisations and let them speak with one voice? This is very simple, because the main issues that young people are concerned with are broadly very similar. Young people are worried about the lack of jobs, education becoming more expensive, their competences not being recognised, discrimination based on age, and for some countries the lack of mobility is still an issue. The fact that young people around Europe have similar problems gives us a real platform to discuss this. Do you think that the new European Parliament will be ‘youth friendly’? For our LoveYouthFuture campaign, we asked candidates for the European Parliament to sign up to some youth friendly pledges and 85 elected MEPs had signed those pledges. From our point of view, this is a good result. We do believe that these MEPs will live up to the pledges they have signed, so we are quite hopeful that it can be a pro youth parliament. On the other hand, we are certainly a bit worried about the results in certain countries where anti-EU, populist, and extreme right parties are getting more votes than before. We do not have specific numbers on how young people voted, but it is a worrying trend all across Europe. European issues are quite complex and it will take quite a lot of courage and wisdom from politicians at the centre to make themselves heard and to ensure that the extremists are not the ones who are forging the agenda. Which should be the priorities of the European Union in the next five years to improve the lives of young people? First of all, we should make sure that the European Union sticks to its fundamental principles of free movement. This issue is currently threatened by anti-European parties. Regarding unemployment and other key issues that affect the lives of young people, we should look at the entire political system of Europe and how it delivers. 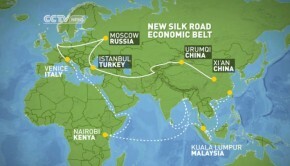 From an economic point of view we should ask why are there no jobs being created? Because there is no investment. And investment is lacking because there is no confidence. Europe-wide. Another thing that the EU has started but which is up to the member states to implement is the Youth Guarantee. In some countries this has proved to be a good policy, but many countries are lagging behind in its implementation. Moreover, the budget for the Youth Guarantee, which is currently 6 billion euros, is not sufficient; the International Labour Organization has calculated that we need at least 21 billion for it to be effective. 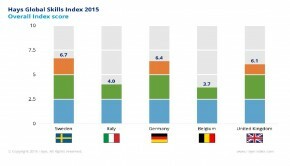 Is youth mobility a priority for the European Youth Forum? To what extent can youth mobility help fight youth unemployment? People develop a set of skills when they are moving around. We have therefore been working on visa liberalisations and we will continue to work on this in the future to make sure that member states will put it into practice. In terms of the relation between mobility and unemployment, we do not want to see forced mobility in Europe: people moving from countries where there are no jobs to countries where there are jobs because of the great disparities in Europe. This is not a bad thing in itself, but if people are really forced to move for economic reasons then that is a problem: people would have to leave everything else behind for work. It really needs to be the case that young people move voluntarily and mobility programmes are helping in this sense. It should be about young people gaining skills and competences through these experiences. Learning new languages and developing cultural sensitivity, for example, can be extremely useful and will also help you make contact with other people. Is the Erasmus programme a success? How can we make it accessible to all European students? The Erasmus programme can be considered a success as it provides young people with the chance to be mobile, the freedom to move from one European country to another and to experience cultural differences whilst feeling a sense of unity with other Europeans. However, there also needs to be a way of ensuring that these kinds of skills are recognised EU-wide, for example, via a system of recognition and validation of non-formal learning. In addition, visa problems can be a huge administrative obstacle and pose a major threat to mobility. 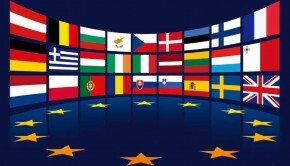 The European Youth Forum wants fees for young people to obtain a visa to be scrapped and for the overly bureaucratic procedures for obtaining visas, which greatly hinder the mobility of non-EU nationals in particular, to be sorted out. Share the post "“We don’t want to see forced mobility in Europe.” Interview with Allan Päll (European Youth Forum)"